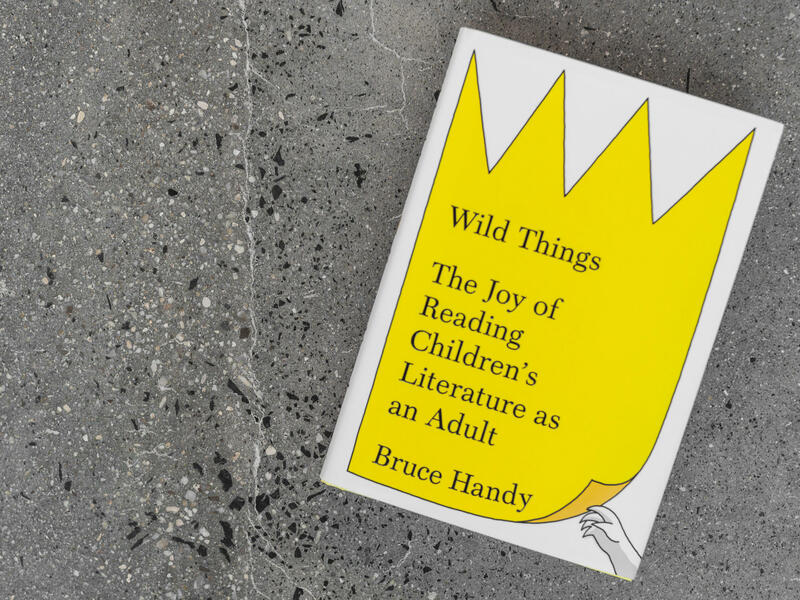 Wild Things, Bruce Handy's new book about "the joy of reading children's literature as an adult," recounts a famous Maurice Sendak anecdote: After sending a young fan a drawing, Sendak got a letter back from his mother saying that the child had loved it so much that he ate it. "He didn't preserve it ... He ate it. I mean, that's how primal, that's how animalistic, that's how passionate we are as small people," Sendak said in a 1991 interview with Larry King. That anecdote feels so right, so just, and so satisfying because it implies something true about the way children's books we have loved feel internal — cellular, almost — as if we've integrated them into our bodies. "I'm in the milk and the milk's in me," as Sendak's Mickey says in In the Night Kitchen. Because of that special emotional resonance, bad writing about children's books can feel not just unhelpful but like a betrayal. Academic books in particular often seem like surgeries, in which each pocket of joy or whimsy is carefully located and then drained. One scholarly book about fairy tales I recently came across was full of sentences such as this one: "With oral, polyphonic folkloric forms serving as hypotext to multivocal, multimedia hypertextual versions of fairy tales, the cumulative and communal aspects of oral culture (granted an idealized one) can flourish." Well, thank goodness for that. But Bruce Handy's generous, warm voice is just the kind you would want reading you bedtime stories. His style is emotional and intuitive, with pleasant jolts of irreverence ("Portnoy's Complaint is the Runaway Bunny turned rancid."). Wild Things begins with books for the youngest readers: Margaret Wise Brown's Goodnight Moon, moving on through Dr. Seuss, Sendak, Beatrix Potter, Beverly Cleary's Ramona books ("like Henry James with much shorter sentences"), CS Lewis, and others, ending finally with E.B. White, "who, in Charlotte's Web, crafted a masterly novel of ideas about what it means to lead a good life and how then to face death with grace." Chapters mix biography and analysis with the sweetly personal: "Dr Seuss wrote the first book I read by myself. What magic: the letters, unherdable cats at first, suddenly lining up nose to tail to form decipherable words — wow!" Handy is playful rather than methodical. For instance, he mentions the critic Laura Miller's The Magician's Book: A Skeptic's Adventures in Narnia to say it came to him "highly recommended ... by many smart readers," but that he declined to read it because he "feared it might overshadow [his] own thoughts about Lewis." On the one hand, it seems irresponsible to avoid a big book on the exact area he covers in his chapter on Lewis, but on the other, it shows a kind of impressive allegiance to emotional integrity over comprehensiveness, a battle he admits to have lost from the outset: "the ocean of children's books ... is way too vast, too deep, too fluid, at least for me." Where he lacks, he is sensible and generous enough to point elsewhere, citing Alison Lurie, Joan Acocella, and others, lavishly. Indeed, the bibliography is a mine of such good essays that it threatens to overtake his own book – and his chapter on fairy tales often feels like a rehash of Acocella's essay on the same subject. But nevertheless, Wild Things has a consistent sweetness and spontaneity that make it satisfying even when the ideas are familiar. A.E. Housman wrote of "blue remembered hills," but Dr. Seuss's rainbow ones are just as transporting. Images from children's books — a great green room and a red balloon, the white witch's Turkish Delight, a lean and wicked cat in a red top hat — act as madeleines (or portkeys, or time turners, or rabbit holes, or wardrobes) calling up sleepiness, childhood rooms, grilled cheeses, long parental legs coming in and out of rooms, and that particular, pleasant ache of nostalgia. If Handy is not always ambitious or thorough, he puts extraordinary care into replicating and preserving those feelings. "Myself, I wouldn't eat a Sendak," he writes, "but I honor the gesture."